The telecom industry has evolved in the quest of satisfying the existing and expanding business needs of communication. Hosted PBX or Private Branch Exchange is the improved version of traditional PBX. Hosted PBX means the PBX system that is hosted on the cloud and can be accessed with an IP. With the cloud, PBX becomes a very convenient and usable form of the phone system for growing businesses. It frees any company from the hassles and charges of owning complex and costly phone systems. All the possible expected features like voicemail, faxing, conference calls and many more are a possibility. Anyone availing this service can make a call from remote locations and personal cell phones while being connected with their office telephone system. It unifies multiple communication channels to improve productivity, enhance collaboration and ease network communication. There is no reason to worry about clear calls when using a hosted PBX. High quality, high definition, voice and video calling with advanced and flexible call features that can scale as your business grows. Hosted PBX allows employees to work anywhere, anytime, and on any device they choose. Thereby it provides improved productivity through easier and more effective communication with remote workers. The traditional PBX for any enterprise demanded complex phone systems, switching of lines, maintenance and hence, expenditure. On the contrary, hosted PBX is cheaper to avail. It saves all the expenditure brought about by expensive hardware and software. Maintenance is also easy, and it eliminates any need of hiring external elements to look after the system operation. A monthly fee may be the only requirement to avail the service. Hosted PBX contributes in the overall growth of your business. No more counting and purchasing of telephone lines are required. You can pay monthly, anytime expand the no. of lines and use with the requirement. New features get adding up to the existing ones, and hosted PBX makes it easier to avail them. These features can be updated or installed with just a few clicks. Employees of any company are benefitted as they can adjust their call requirements as per locations. Any call through hosted PBX can be attended from any distant location. 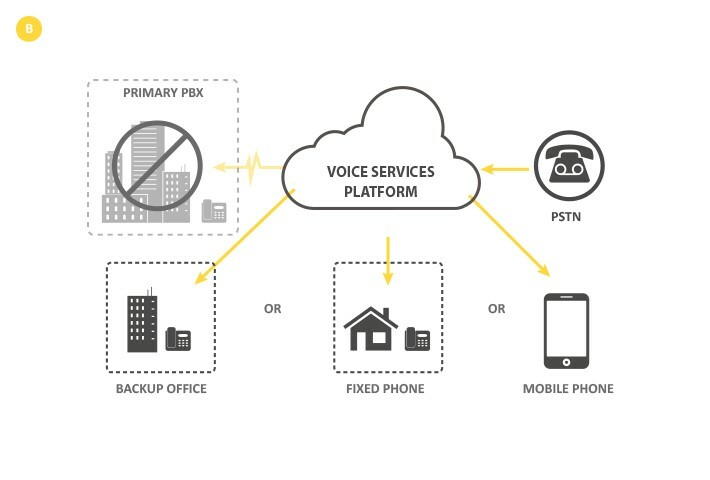 Hosted PBX ensures that you retain uninterrupted contact with your customers so that voice communications are not affected in case of earthquake, flood or fire at offices.